As an ACE Certified ACE Group Fitness Instructor, you'll elevate your mission of movement by leading more people — and making a significant impact on the health and well-being of countless class participants. Whether you're new to the health and fitness training world or a full-time instructor looking to grow your expertise, our NCCA-accredited certification will prepare you to effectively design and deliver safe and memorable experiences in any modality. Get moving on your career by taking the first step to becoming a Group Fitness Instructor. Choose the study program that works for you. Our most popular and comprehensive study experience, bringing the core concepts of group fitness to life. Enjoy everything in the Pro Plus and Pro Essentials Study Programs, plus a certification exam retest voucher, hard copy and digital versions of our manuals and a total of three practice tests. Ideal for the candidate who is looking for a robust study experience or who has little to no experience as an instructor. An in-depth and well-rounded study experience for both new and veteran instructors. Enjoy everything in our Pro Essentials Study Program, plus an additional practice test and hard copy manuals instead of digital manuals. Perfect for the candidate with working knowledge of fitness principles or with some experience as an instructor. A self-guided study program with the basic foundational material you need to pass the exam. 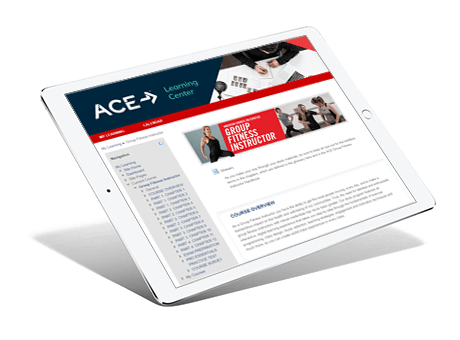 Access ACE Answers, our self-serve resource center featuring a wide range of online study materials. 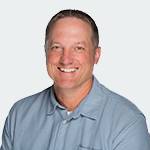 Best suited for the candidate with extensive knowledge in fitness principles or experience as an instructor. When you choose our Pro Advantage Program, you have the option to divide the total cost into four monthly payments. No interest or finance charges apply, and you’ll get all the materials shipped to your house after the first payment is processed. Installments will be charged to your debit or credit card each month. ACE educates, certifies and supports more than 75,000 health and fitness professionals, health coaches and allied health professionals. Earning our NCCA-accredited certification means that you’ve met the highest industry standard for health and fitness professionals — and that you've made movement your mission. At ACE, we go above and beyond to support our health and fitness professionals throughout their careers, through education, training, partnerships and advocacy. There are a variety of paths to get people moving as a Group Fitness Instructor. 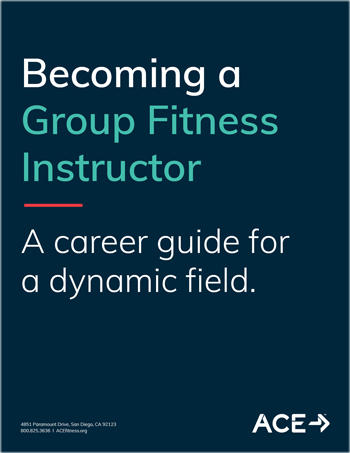 Explore them all in ACE's Group Fitness Instructor Career Guide. This interactive, self-paced program complements your course study materials with easy to comprehend digital content including webinars, videos and quizzes. 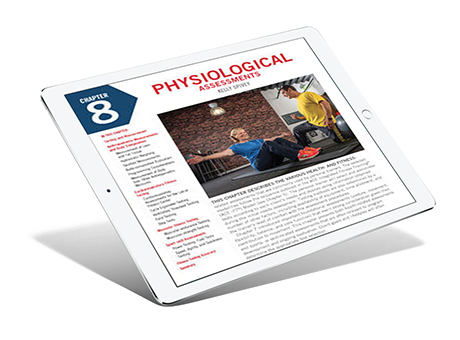 This digital handbook, accessible from any device, offers information and tactics to help you deliver safe and memorable movement - in any modality - to your clients. Group fitness is on the move. It's explosion in popularity means that ACE Group Fitness Instructors have a wide variety of career options — and a wide variety of modalities — to get people moving. The ACE Group Fitness Instructor Study Program provides an applied, practical understanding of the key concepts in group fitness—so you can feel empowered to exceed your clients' expectations no matter where their passion lies, be it strength training, mind-body indoor cycling or anything in between. Ready to Make Movement Your Mission as an ACE Certified Group Fitness Instructor?